With Pamela Cox singing "Wintersmith". Recorded at Caffe Buono, The Edge, and Gracie's Coffee Station in Jonesboro, Arkansas. 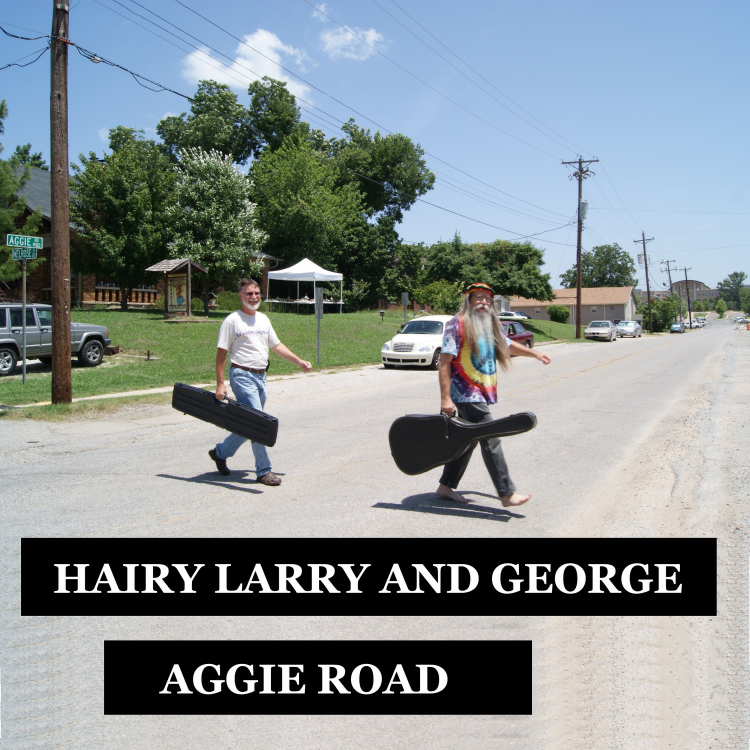 "Wintersmith" and "Moonstruck Blues" recorded at HairyLarryLand. 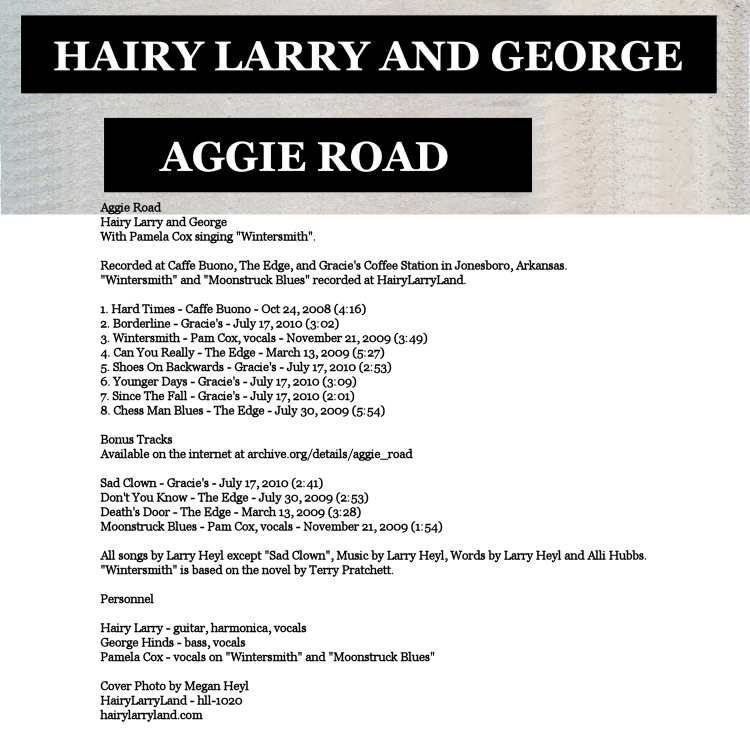 All songs by Larry Heyl except "Sad Clown", Music by Larry Heyl, Words by Larry Heyl and Alli Hubbs. "Wintersmith" is based on the novel by Terry Pratchett. Pamela Cox - vocals on "Wintersmith" and "Moonstruck Blues"
We got to play at Beatles Park in Walnut Ridge in front of the Abbey Road sculpture. Here's some photos.